The Poland (Warsaw) Summit, co-hosted by the U.S. and Poland on February 13-14, aims at improving peace and security in the Middle East and focuses on confronting mullah’s regime meddling in the region. The Iranian regime has been engaged in systematic human rights violations at home and export of terrorism and warmongering to the region through its proxies and support for the Assad dictatorship in Syria. Large number of Iranians, the supporters of the National Council of Resistance of Iran (NCRI) and the People’s Mojahedin Organization of Iran (PMOI/MEK), will hold a rally on the first day of the conference to voice the desire of the Iranian people and also show their backing for the NCRI led by Maryam Rajavi as the democratic alternative to the mullahs’ regime. 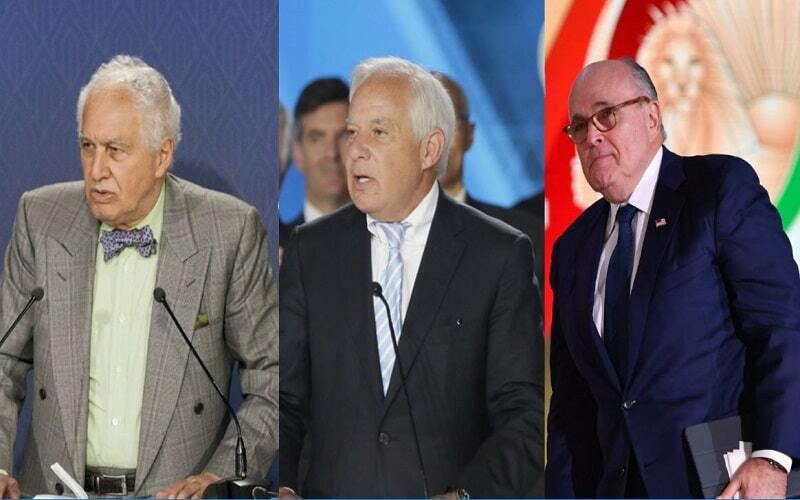 Mayor Rudy Giuliani, former Algerian Prime Minister Sid Ahmed Ghozali, former US Senator Robert Torricelli and several Polish Members of Parliament and the Senate will also participate in NCRI/MEK rally in Warsaw. They will hold a press briefing prior to the rally. The NCRI/MEK rally in Warsaw will call on the conference and the delegates to strongly condemn the ongoing human rights violations in Iran, adopt a firm policy on the regime, take practical actions against the regime over its terrorism outside Iran, and recognize the right of the Iranian people to overthrow the religious dictatorship ruling Iran. 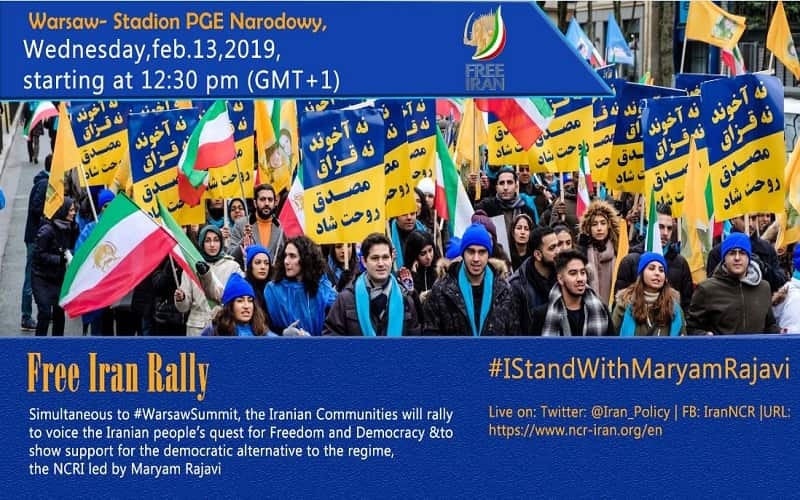 Partaking Iranian in the NCRI/MEK rally in Warsaw will also declare their support for Maryam Rajavi’s ten-point plan for a free republic base on separation of religion and state, gender equality and a non-nuclear Iran. The participants in the NCRI/MEK rally in Warsaw will demand the Poland summit to recognize the Iranian people’s right to resistance to overthrow the mullahs’ religious fascism and achieve freedom. As well as decisive expulsion of Iran’s ruling religious fascism and its forces from Syria, Iraq, Yemen, Lebanon and Afghanistan. The previous governments in the United States gave great concessions that inflicted enormous damage on the people and the # Iran resistance. The way out of all that harm is to recognize the struggle of the Iranian people to overthrow the clerical regime. Put the Revolutionary Guard in the Terrorist Party. This is a material support from Iran’s people who are thirsty for freedom and you Mrs. Rajavi have shouted at us and they were stunned. Fighting and supporting terrorist groups in the region, missile programs, cyberattacks, atomic bombing operations, the repression of the people of Iran and the plundering of the country’s assets, all in the same evil army.